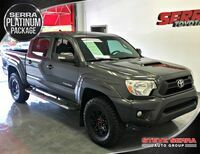 For pickup truck owners, it’s all about performance and dependability and the Toyota Tacoma delivers on both counts. With some of the highest reliability scores on the market, Toyota pickup trucks like the midsize Tacoma give used truck shoppers confidence that their purchase has what it takes to last. 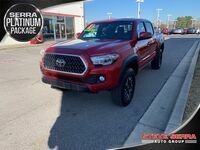 With a variety of configurations that offer top-notch towing, off-road capability, and creature comforts that help make each trip a highlight, the Toyota Tacoma has just the right blend of features to get drivers anywhere they are interested in going in style. 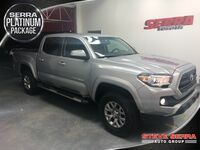 At Serra Toyota in Birmingham, AL, we try and keep a fresh inventory of used Toyota Tacoma models in stock as often as possible. To see our current selection, browse our online inventory using the link below or stop by our dealership in person at 1300 Center Point Parkway. If you see a used Toyota Tacoma model that appeals to you in our inventory, the next step is to schedule a test drive appointment. We believe that a test drive is the best way to experience what each model has to offer, and with a used vehicle purchase it’s especially important to test the vehicle’s current driving condition. To schedule a test drive appointment, connect with a team member at the dealership, give us a call at 205-847-1841 or use our online test drive scheduling tool from the comfort of home. Simply let us know which model you had in mind to test drive and what your availability is, and our team will contact you to confirm an appointment. When you show up for your test drive, your preferred model will be ready and waiting for you to climb in the driver’s seat. We get new used models each week, so if you don’t see exactly what you are looking for check back in a few days or let us know and we can help source a used model for you. We look forward to helping you during the exciting car buying process.